No interior; just a dash pad held up by brackets. My current plan is to clean up the wiring, paint the interior with epoxy white paint, maybe put in a roll cage, and do track days and/or autocross (not being competitive in whatever class I'm put in). However, at some point I'd like to get involved in wheel-to-wheel racing. Some time down the road, if/when the engine goes or I come across a good swap candidate, I'll swap in an OE engine/trans and run ITA(?) 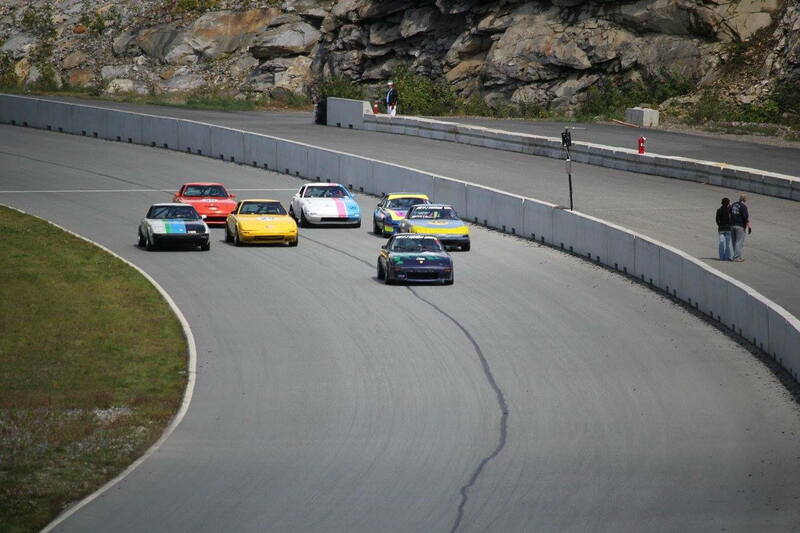 or whichever is the best SCCA class for these things. 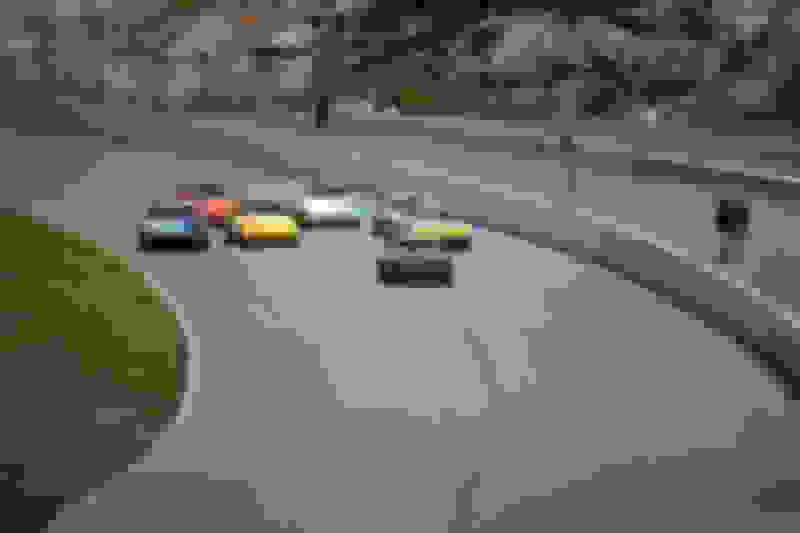 Do any of you have input on what currently is the best SCCA class to run an FB? I'd like to have an eventual goal in mind; what direction to move the car towards in order to race. I know that I really should just cut my losses, sell this car, and buy an already prepped spec miata, but unfortunately I'm in love with the power delivery and twitchy handling of this car. At the end of the day I want to race an FB, and I'd prefer it to be this chassis. Update: for anyone in a similar boat, E Production seems to be the place. Subframe and trans unrestricted, but I'd need the stock steering setup. Last edited by scissorhands; 09-10-17 at 08:07 PM. Pretty sure that if you want to run any IT class you will need to throw out that ReSpeed junk and put in Mazda steering/suspension. I'm not looking forward to going to recirculating ball steering; this mustang steering rack is incredible. Plenty of cars out there for sale that are turn key ready for IT7 class. Your car is already built up beyond that class so downgrading it just doesn't make sense. By the time you source all the parts and install a cage you could have just bought a turn key. you should be able to find an IT7 Car up there pretty easily. By the time you put just a cage in your car you will be over the cost of an IT7 car. I heard that alot of IT7 cars still run Summit up there, they can usually be found in the 3000-4500 range. depending on the condition of the other car, you might could rent out the "spare car" to your friends or others looking to get their feet wet. Last edited by Gilgamesh; 08-17-17 at 08:19 AM. There's a huge pack of IT7 cars in the Northeast that run Palmer Motorsports Park in MA, NHMS in NH, and both Thompson and Limerock in CT. Go to an event and make some friends, you'll find someone selling one. Also, a few people are willing to rent a car for the weekend if you just want to try it out. You'll have to get your racing license first though. Very helpful, thanks. For some reason, I'm having trouble researching IT7 online. There's no mention of it on SCCA's website. I'll give that forum a look. If you want to try endurance racing you should be able to get your car into ChumpCar for under 500 points. They allow very highly modified cars if you start out with a low starting value car and an FB starts at 100 points. ChumpCar of 2017 is nothing like the joke that LeMons started out as, it is full of really fast well prepped cars and teams that know what they are doing. They also allow novice drivers on track so you don't have to go through a licensing period, of course this is a double edged sword since you end up with drivers of massively different experience and talent on track together. At the moment it's dominated by BMW's, but there is a growing number of other types in the form of Mercedes, Volvo, Honda, VW, Fords(Mustangs), a ton of Miata's. The classing is based on lap times during qualifying which is held on Friday's and the races are 2 day with each day being 9hrs with a 3 min mandatory pit stop and driver change. I work for the series and have raced in it as well. driving a stint in two different races. I know of one RX-8 that unfortunately is up for sale and another team that race their FB and finished 3rd in class. I am currently looking to take my FB that I am picking up to race in the series as it really is flexible to whatever you can bring. So, if you want to bring your car somewhere to race where the rules are open to whatever you can build AER would be ideal. yes.....yes!!! Join us, we'll be rolling 11-12 deep this weekend at Thompson Motorspeedway in Connecticut....bring a cooler. You wont find any information on the SCCA site as IT7 is a regional class, you just happen to be lucky enough to live in the Northeast where it is thriving (it's dead damn near everywhere else in the country) if you want to find out what you can and cannot do mod wise we run under Improved Touring (A) rules (also regional only but much more popular and easier to find information on) with a gentleman's agreement here to run a spec tire ( 205-50-15 Nitto NT01's). if you'd like more info feel free to PM me or show up at any NER regional event and come chat.